Standing in the pretty village of Dalmeny and close to South Queensferry and the Forth bridges is St Cuthbert's Parish Church, Dalmeny. 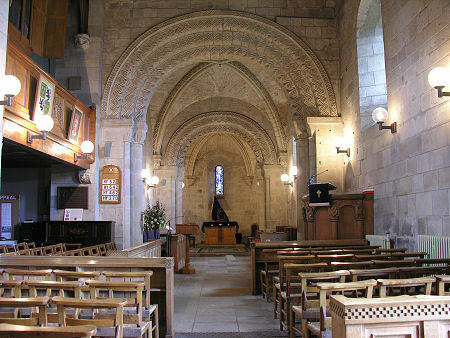 St Cuthbert's is the best preserved Norman parish church in Scotland, and its Romanesque architecture is a real joy, both externally and internally. 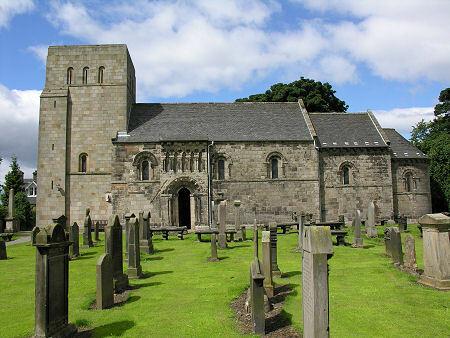 St Cuthbert's Church was probably built in about 1160 by Gospatric III, Earl of Lothian, the grandson of Gospatric, Earl of Northumbria, who had fled into exile in Scotland following the Norman conquest of England. This is a little speculative, but Gospatric III owned estates in the area and was known as an important religious patron. 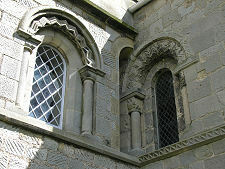 Meanwhile, the analysis of masons' marks found on stonework here and elsewhere suggests it was constructed by at least some of the same masons who had been responsible for work in the Abbey Church at Dunfermline in the 1140s and 1150s, and others who later worked on St Athernase Church, Leuchars in the 1180s. 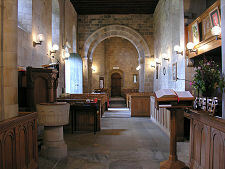 As Gospatric III is known to have died in 1166, and spent some time as a monk in Durham before his death, it is just about possible to make all the dates marry up and suggest that St Cuthbert's was built by him in about 1160. 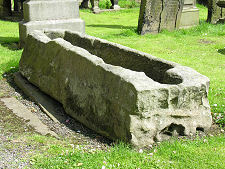 The parish system in Scotland was still evolving at the time, and the church was probably initially built for the worship of Gospatric himself, his family, retainers and the tenants of his estate. Over time this evolved into its use by anyone who lived in the parish. 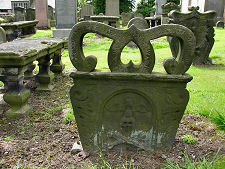 Gospatric was succeeded as Earl of Lothian (and as Earl of Dunbar) by his son, Waltheof (or Waldeve). 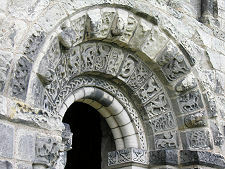 He granted the income, or "teinds" raised by the parish to Jedburgh Abbey, presumably in return for the monks at the abbey praying for his soul. Parishioners fared less well from what was a common arrangement at the time. 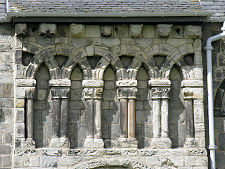 Income meant to ensure the physical upkeep of the church and pay for a minister instead went to the abbey, who would only invest a proportion back into the church and clergy to run it. 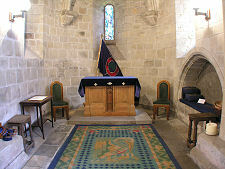 This arrangement remained in place right up to the Reformation in 1560 and, in Dalmeny as in many other places, well beyond it. 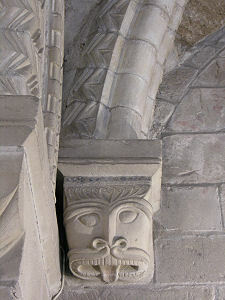 As late as the 1630s much of the income raised by the parish was going to the secular laird who inherited the rights to Jedburgh Abbey on its dissolution, and only a small part to pay the minister. 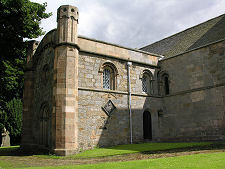 Most early Scottish churches were destroyed either wilfully during the Reformation; or by "improvements" made following the Reformation to accommodate the very different physical needs of Presbyterian worship; or by alterations made, or rebuilding undertaken, to increase the size of churches as parish populations grew in later centuries. St Cuthbert's comparatively unchanged survival probably owes much to the (paradoxical) fact that most of the income raised by the parish was not available to be spent on alterations to the church in the late 1500s, and that the major area of population growth within the parish, South Queensferry, became a separate parish in 1636, meaning that St Cuthbert's never needed to be expanded. 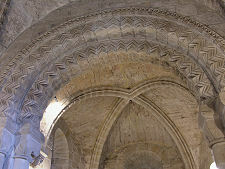 The result is a breathtaking Norman church comprising a linear arrangement of a nave, a chancel and an apse, with a tower at the west end. Everything except the tower is remarkably original. This collapsed, apparently at some point in the first half of the 1400s, and survived into the 1900s as little more than foundations. The tower was rebuilt in a - doubtless - simplified and shorter version of what would have stood here originally, and completed in 1937, but the end result adds greatly to the church without pretending to be anything other than a relatively recent replacement. 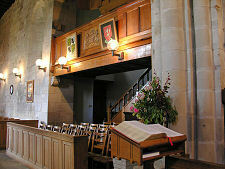 At the same time as the tower was built a number of other changes made over the centuries, such as the insertion of a gallery in the west end of the church, a porch over the south door and a change in the height of the chancel roof, were reversed. Apart from the replacement tower, the only other significant addition to the original structure that remains is the Rosebery Aisle, built on the north side of the church in 1671 by an ancestor of the Earls of Rosebery. This comprised an upper floor lairds' loft which allowed the family to worship in comfort and privacy, with a family burial vault below. Open Summer Sunday afternoons. Key available locally at other times (see notice board in churchyard).